How do I edit the message that notifies me that I've been auto-balanced? Is it possible to change the order by which the scoreboard, the spec gui, the f4 ready up and the casual/comp top-of-hud lists are sorted? Preferably all by user ID? TwiiKuuIs it possible to change the order by which the scoreboard, the spec gui, the f4 ready up and the casual/comp top-of-hud lists are sorted? Preferably all by user ID? https://imgur.com/a/4XXFb how do i restore the original borders? what line specifically? What does it it take to move this over? I've tried xpos, x_offset, and xpos_override on loadout_preset_panel in classloadoutpanel.res but nothing worked. How do I edit the passtime intro panel and its contents? HudPassTimeBallStatus/HudPassTimePassNotify and the various other 'HudPassTime...' res files. WiethoofdHudPassTimeBallStatus/HudPassTimePassNotify and the various other 'HudPassTime...' res files. The panel disappears before I can find out what it's called, using those methods. [quote=Wiethoofd]HudPassTimeBallStatus/HudPassTimePassNotify and the various other 'HudPassTime...' res files. bLa WiethoofdHudPassTimeBallStatus/HudPassTimePassNotify and the various other 'HudPassTime...' res files. If you are on a local server: sv_cheats 1; vgui_drawtree 1 and tick 'Highlight Selected' and find the hud elements by expanding the tree with vgui items/elements The panel disappears before I can find out what it's called, using those methods. [quote=bLa][quote=Wiethoofd]HudPassTimeBallStatus/HudPassTimePassNotify and the various other 'HudPassTime...' res files. aurahThe panel disappears before I can find out what it's called, using those methods. Pause your game when the message shows up, you're already on a local server editing, pause it! How do I edit the "View entire backpack" button in the crafting pages? What is the res file called that allows me to edit this part of the hud? vooshoosWhat is the res file called that allows me to edit this part of the hud? [quote=vooshoos]What is the res file called that allows me to edit this part of the hud? Does anyone know how to make the hud's backpack panels bigger like this? How would I go onto adding that arrow in the killstreak feed in the players spectator view? 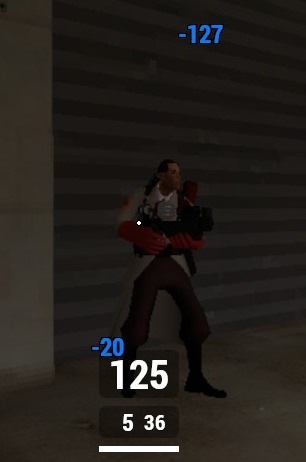 There's the player's name and just the killstreak number below it. I'd like to add that arrow as well. I looked into HUDKillstreakNotice, but it seems there's no standalone "arrow" snippet. Does anyone know how to make the hud's backpack panels bigger like this? I need to figure out how and what files and values to edit. Does anyone know how to make the hud's backpack panels bigger like [url=https://imgur.com/8rDFI0E]this? [/url] I need to figure out how and what files and values to edit. Quick question, what file controls the countdown number and background that appears before a casual match starts? 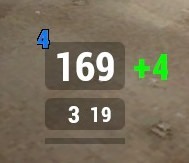 How do you remove the red line on the MvM scoreboard? I'm very sorry for asking this repeatedly but what file should I edit to make the backpack look like this? sAvenQuick question, what file controls the countdown number and background that appears before a casual match starts? MagmaDudeHow do you remove the red line on the MvM scoreboard? solly6I'm very sorry for asking this repeatedly but what file should I edit to make the backpack look like this? reosurce/ui/econ/BackpackPanel.res and you need to increase the size of the "modelpanels_kv" (wide and tall) and then adjust the xpos and ypos of the whole panel with "item_backpack_offcenter_x" and "item_ypos" if I'm not wrong. I mean you can just take the values from wiethud as well. 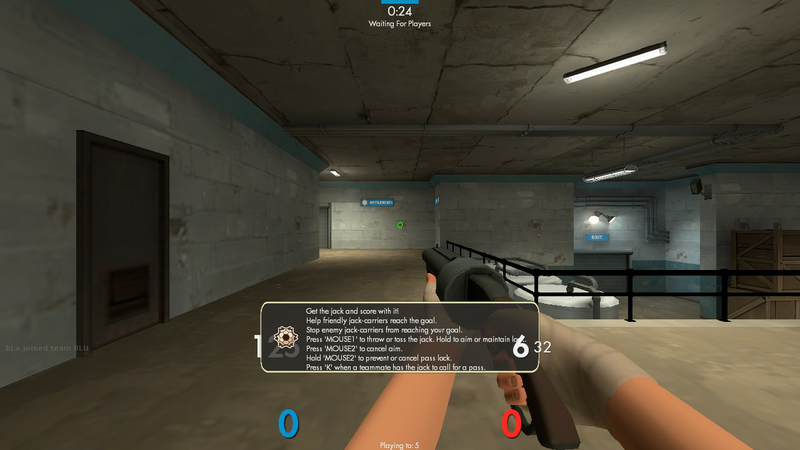 [quote=MagmaDude]How do you remove the red line on the MvM scoreboard? [quote=solly6]I'm very sorry for asking this repeatedly but what file should I edit to make the backpack look like this? When I change the y pos value for ammo, then ammo will be clipped in some places because limited space. How can I show the ammo again and move it into a higher location? When I increase "tall" then it just returns the value to it's original position so its not working. Hypnotize solly6I'm very sorry for asking this repeatedly but what file should I edit to make the backpack look like this? It still doesn't work for some reason. You can move it using HudLayout > CHealthAccountPanel and if you want to change the font of it etc use HudHealthAccount! solly6 Hypnotize solly6I'm very sorry for asking this repeatedly but what file should I edit to make the backpack look like this? And even then is not gonna look exactly the same but it should at least work. jnuWhen I change the y pos value for ammo, then ammo will be clipped in some places because limited space. How can I show the ammo again and move it into a higher location? Sounds like you are trying to move the ammos from HudAmmoWeapons.res to me. Try to move them from Hudlayout > HudAmmoWeapons that way you can move the whole panel at once and it should never disappear unless you set the xpos or ypos to a really high value. [quote=jnu]When I change the y pos value for ammo, then ammo will be clipped in some places because limited space. How can I show the ammo again and move it into a higher location? solly6It still doesn't work for some reason. If you copy the WietHUD files, make sure to have the default_hudfiles original BackpackPanel.res file there as well, otherwise you can apply the changes made to the default backpack .res file and end up with a single file to maintain. If you copy the WietHUD files, make sure to have the [i]default_hudfiles[/i] original BackpackPanel.res file there as well, otherwise you can apply the changes made to the default backpack .res file and end up with a single file to maintain. How can i make these icons and the killfeed icons be actually white? I once saw it was possible by using the mod_textures file by I don't actually know how, Is it possible to change them from the file or I need to edit the d_images (?) vtf? The icons used for those are obj_status_sentrygun_#, you can try to make them in to an imagepanel instead of CIconPanel and use an image and drawcolor to change the color of the icons if the suggestion from the first line does not work. The icons used for those are [i]obj_status_sentrygun_#[/i], you can try to make them in to an imagepanel instead of CIconPanel and use an image and drawcolor to change the color of the icons if the suggestion from the first line does not work. Also when I use the concheror my hud damage number counts up with the healing number, so when I gain 1-4 hp it tracks damage as if it was damage dealt to an enemy on my hud. If anyone has a solution to these then that would be great. https://www.dropbox.com/s/1jdua1hs9iq0012/BX%20Hud.rar?dl=0 These are the files im using right now with my desired colors/minor changes. I've used huds "out of the box" for so long that I'm out of my depth.